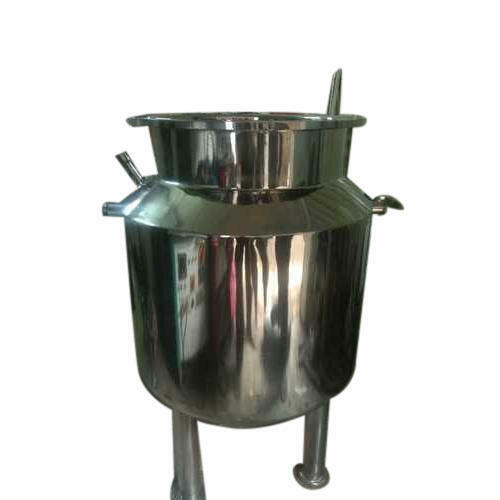 We are a highly acknowledged organization, engaged in presenting a remarkable range of Manufacturer Vessel. Established in the year 2013 at Maharashtra, India, we "RBS Pharma Machineries” are Partnership, involved as the Manufacturer of Filling Machine, Cartoning Machine, Cooling Tunnel, Foil Sealing Machine, Manufacturer Vessel and much more. All our products are getting widely acclaimed among the large clientele for their exclusive designs, superior quality, and reliability. Apart from this, our ability to maintain timelines as well as quality in the assortment, providing cost effective solutions and assurance to make timely shipment of the orders placed by customers have assisted us positioning our name in the list of top-notch companies of the industry. RBS Pharma Machineries is a supreme name involved in the manufacture of top quality pharmaceutical machineries. With a high level of commitment the company has been rendering its services to the pharmaceutical world. Our varied range combined with competitively priced products has gained immense popularity in the medical field. The organization is backed by experienced professionals and specialists who are driven by a passion to excel. Our excellent quality products and services have brought us tremendous customer loyalty.